There good number of supported VESA patterns. Options to tilt up and down. 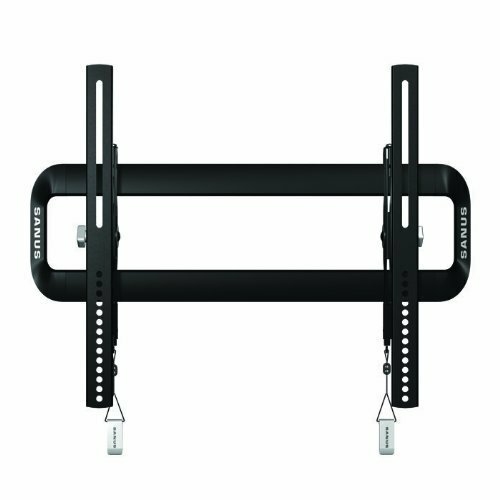 With the Sanus VMT5 Premium Series Tilt Mount you’ll be able to finally get that mid range TV up on your wall all while looking sleek and hiding some cable that would otherwise look like a mess. It features universal mounting which means is covers a huge range of VESA patterns. So if you have an odd-ball TV, odds are that this wall mount will support your TV. It is best for 40 inch TVs through 50 inch TVs, and only supported up to 75 pounds or 34 kilograms. I recommend you read the weight limit to ensure your TV is properly supported by this wall mount. Often times a supported VESA pattern will mean it will fit your TV, but you need to make sure your TV fits your wall. I cannot stress that enough. To make things as easy as possible you are going to need some tools. Below are the needed tools to properly set the wall mount up. Though these tools are familiar to me, they may not be to you. I’ve provided a reference photo for each different tool, but be sure you know how to use each tool before the install. This will make for a smooth and easy wall mount install. You first connect the wall mount bracket to the TV. Then you mount the wall plate to the wall as the name suggests. Then you attach the wall mount bracket to the wall plate. It’s as simple as that. Below are more details instructions if you get stuck along the way. Step 3- Attach Bracket to Wall Plate | HEAVY! You may need assistance with this step. The locking tab needs to be in the unlocked position before attaching the TV to the wall plate. Once the TV is on the wall plate, the locking tab needs to be in the locked position. 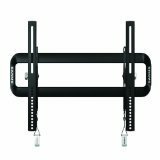 The combined weight of the SANUS wall mount and your TV may be too much for you to carry. I recommend you get help from some one as needed to properly install the wall mount. Though limited by its design the VMT5B1 does well for itself by supporting a larger number of VESA patterns than its smaller brother the VSTA-B1. This offers more to you in that one metric alone. Besides that it offers the same materials and options to pan. So a slightly better wall mount in the end. Price has been difficult over time.